This archive contains material regarding the development of the bombe machine, and the major role women played in developing it. The bombe machine itself was an electro-mechanical device that was created by the British during World War II. It's purpose was to decode intercepted Nazi messages encrypted by their Enigma machine. 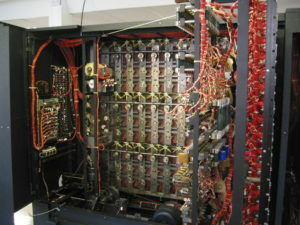 The project to create the bombe machine was led by Alan Turin, and while his expertise drove the project, many do not know of the contributions women made to this undertaking. The site of the creation of the bombe machine and the breaking of Nazi codes was Bletchley Park, located in Southeast England . It was the center of the Government Code and Cypher School, and at it's peak housed nearly 10,000 people, nearly 2/3 of which were women. 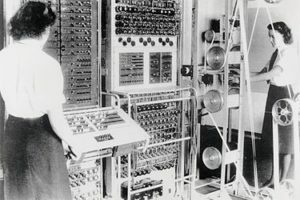 While most of the jobs held by women were monotonous, some were administrators, card compilers, or even code-breakers. I'll elaborate on their stories, and the role they played in dismantling the German code. Joan Clarke (pictured to the right) was a vital member of the Bombe team, working alongside Alan Turing and for a time was even his betrothed. Jean Valentine (pictured to the left) was an operator of the Bombe device in Hut 11. She made (along with her female co-workers) what would be a little more than $100 USD per week, doing incredibly intensive work that only learned individuals could do. 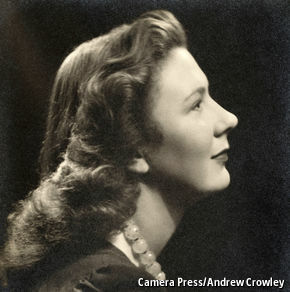 Mavis Batey made incredible contributions to breaking the Nazi code, in deciphering a message that led to a complete understanding of the Abwehr Enigma. 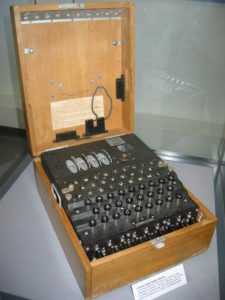 This specific German encryption tool was used for German intelligence and counter-espionage, and knowledge of how these specific messages were encrypted made monumental impacts for the war effort. She is pictured here. 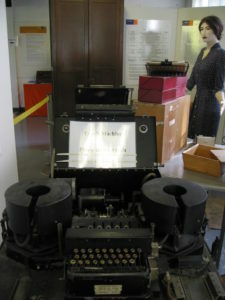 The main undertaking that took place at Bletchley, as mentioned above, was the development of the Bombe machine, shown above. 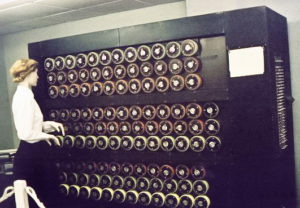 The Bombe was the key to initially dismantling the Nazi ciphers, and was developed by a team of mathematicians led by Alan Turing. This team included, and was largely influenced by Joan Clarke. Without this device, it's impossible to determine if World War II would have resolved as it did. 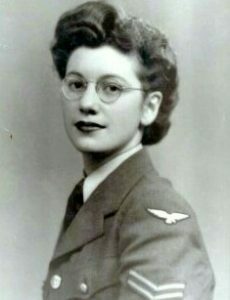 Another notable woman that played a large role at Bletchley was Jane Fawcett, pictured here. 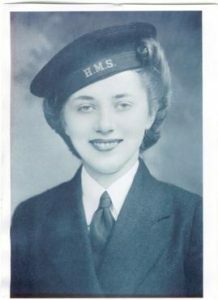 Jane worked as a code-breaker in a building known as "Hut 6". The interesting aspect of this building is that it was comprised of exclusively female code-breakers who would receive Enigma keys every day, and try to determine if the messages in any way resembled German. Another interesting note about Hut 6 is that the working conditions inside are described as quite horrid. This included poor lighting, heating, and a lack of proper ventilation. These women worked tirelessly in hopes of breaking apart the German code. Eventually, Jane did. On May 25, 1941, the women of Hut 6 were instructed to try and decipher anything regarding the Bismarck: a German battleship. Jane was able to decode a message regarding the position of the Bismarck, and it's destination in France. The ship was attacked and sunk by the Royal Navy, marking the first substantial victory for Bletchley Park and the code-breakers. In 2014, a film titled "The Imitation Game" was released. 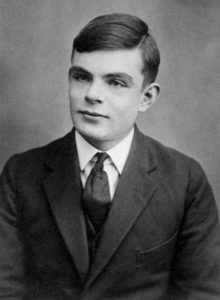 This film tells the story of Alan Turing and his role in creating the bombe machine. 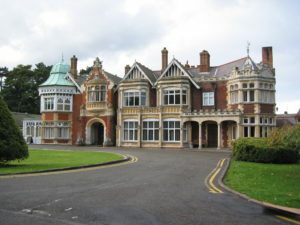 The film itself was received well, as the story of Bletchley Park was widely unknown until its release, but there are a few criticisms to be made. Namely, the portrayal of Joan Clarke by Keira Knightley. In the film, while Joan is portrayed as incredible intelligent, she's mainly used to develop the romantic relations portrayed in the film. Joan really was engaged to Alan, but some feel that this fact overshadowed the major academic contributions she made. I feel that this portrayal is dangerous. 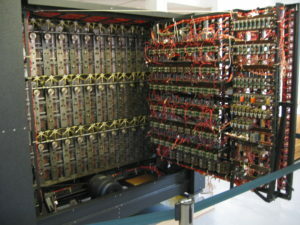 Joan's contributions to the development of the Bombe are not efficiently portrayed in the film, which I believe mirrors what happens in reality. Too often women in STEM are not credited for their achievements, and I see this as a potential cause for the gender disparity in STEM fields. Instead of being portrayed as the mathematics genius she was, her main role in the film was to develop Alan's romantic narrative. Lastly, I'd link to link to the Bletchley Park Roll of Honour, a list detailing the names of all those who are believed to have worked during World War 2 at Bletchley Park. I feel that too few people have heard of the revolutionary work these individuals have done. 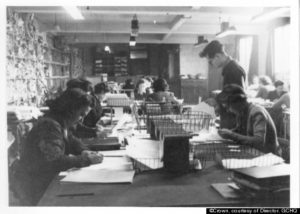 At the time of the creation of this archive, academics at Bletchley Park are working to digitize the several thousand documents that were recovered. It's been stated by the CEO of the Bletchley Park Trust the the records will go on their site once they've successfully archived all of the resources they have. ―This archival exhibit was created by Bryce Griffin in Literature and Digital Diversity, fall 2017.